I’m a huge Anthony Bourdain fan. Like many, I got hooked onto him when I was early in my cooking career, and I read Kitchen Confidential. I’ve probably watched every episode of every TV show that he’s had, and it was on one episode of No Reservations, about 4 or 5 years ago, that I watched Bourdain explore Lisbon with two of Portugal’s up and coming hot, young chefs. Today, both José Avillez and Henrique Sá Pessoa hold Michelin stars and rule as the best the country has to offer. Much of my cooking with Portuguese cuisine has since been inspired by José Avillez, as I’ve visited his restaurants several times, and have been watching what he’s doing with taking Portuguese food to new heights. Already with 5 restaurants the last time I was in Lisbon, two years ago, this year, Avillez has introduced two new concepts to his ever-growing empire. 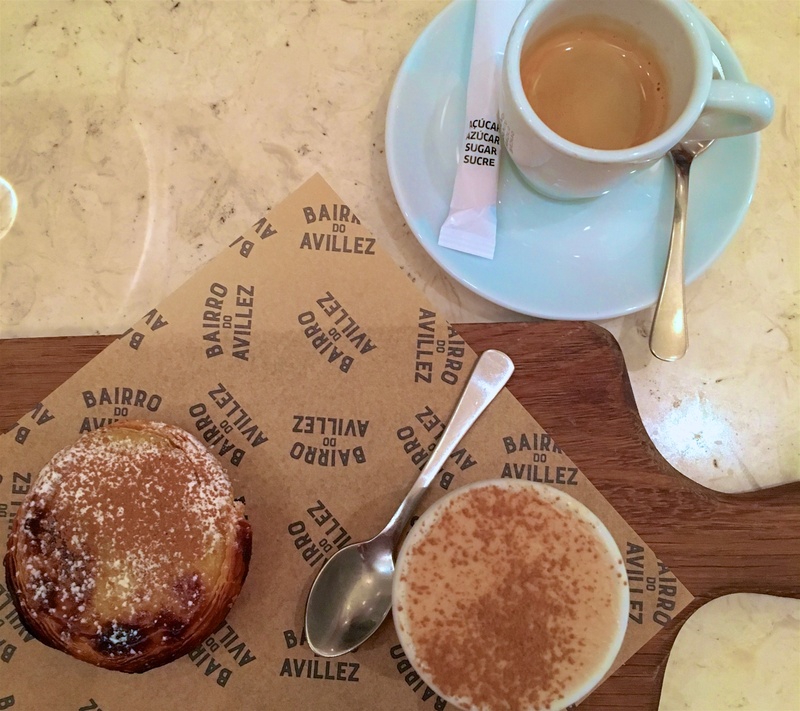 Susete and I visited Bairro do Avillez recently, to see what this 2 Michelin-starred chef is up to now. Bairro means “neighbourhood” in Portuguese. With each restaurant opening, Avillez seems to be getting more experimental, pushing the limits on what he can do and what the public is willing to accept. 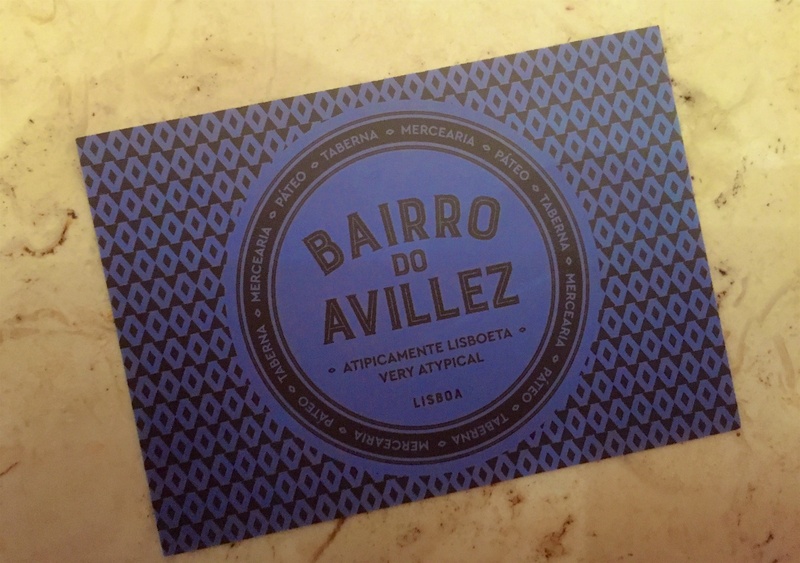 With Bairro do Avillez, as the name suggests, he’s now made a multi-functional venue, as opposed to a singly defined restaurant. 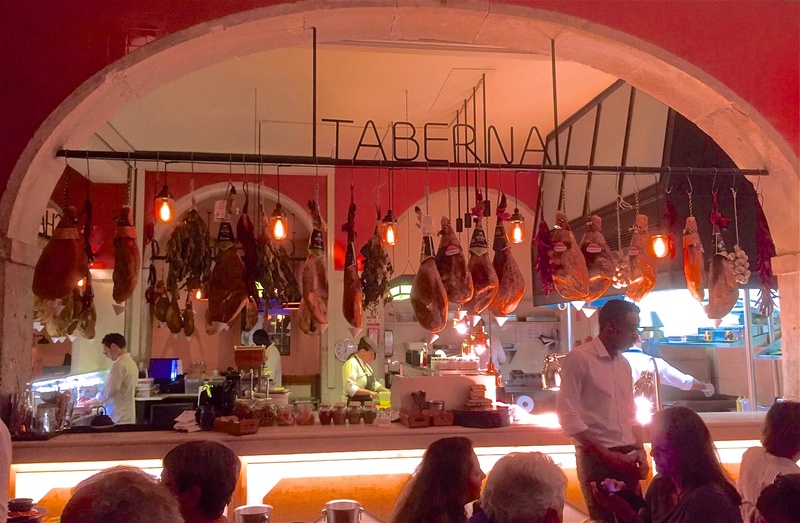 In this one location, there’s the main dining room space, that’s labelled as the “Taberna“, with a beautiful open kitchen. Around the kitchen there’s a charcuterie counter, and at the host station there’s a “mercado” used as a sort of gift shop to sell the various products and cookbooks that Avillez has. There’s also a patio space that is labelled as a separate dining room, and now just opened, there’s a hidden room that is the location of the newest project, Beco (modelled in the style of a speakeasy and performance space). 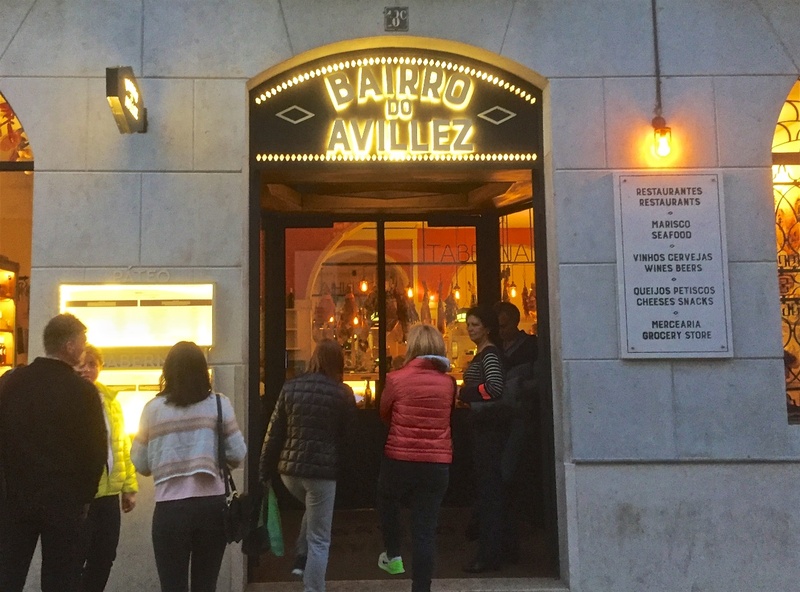 Like all José Avillez restaurants, Bairro is designed beautifully, with very contemporary style that would fit into any fashion-forward city in the world, while also keeping traditional Portuguese charm. Avillez is always careful to never lose the “Portuguese-ness” in anything he does, and for this, he’s a true leader and ambassador of the new Portuguese food movement. 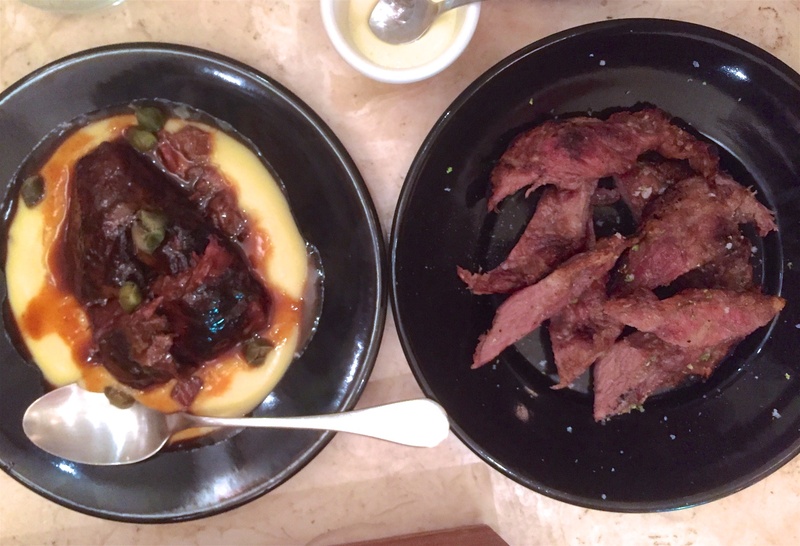 The food at Bairro is typical Avillez. Portuguese flavours, refined with French techniques and infusing in Asian influences every now and then. It’s very much way I cook as well, which is why I’ve become such a huge fan of his (except I don’t have any stars hahaha). 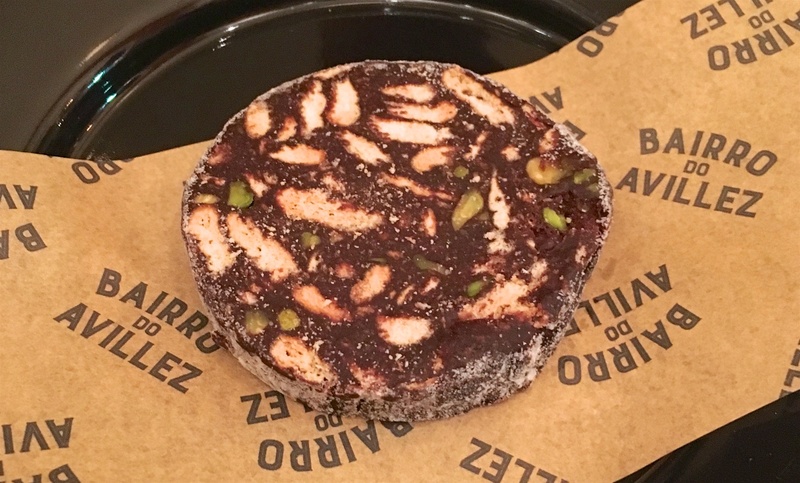 Avillez’ dishes are clean and produced with precision, but still not pretentious. 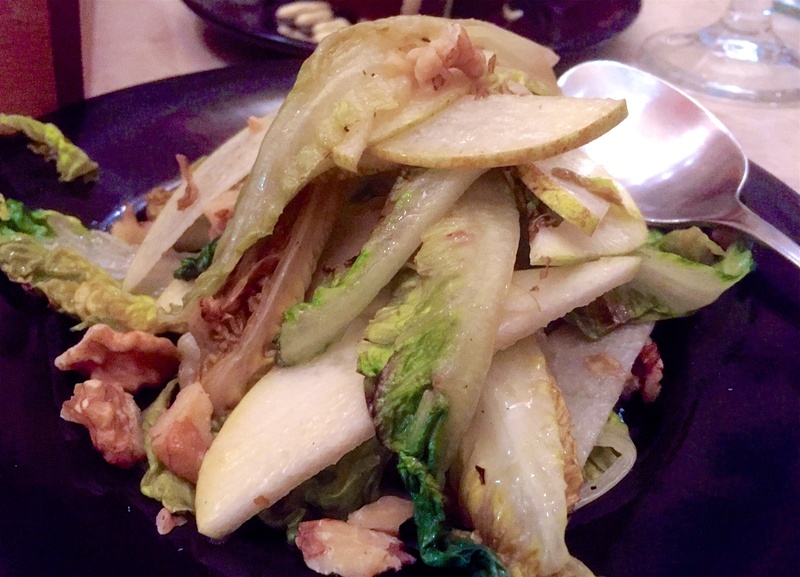 We started our meal with a classic salad of grilled romaine with walnuts and pears, and a simple vinaigrette. It was as expected, well balanced and a great way to start. 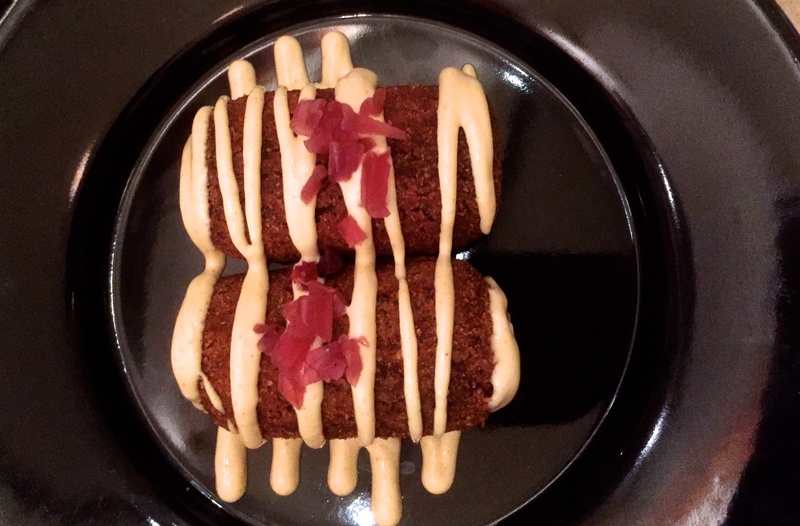 The beef croquettes are stars on this menu. We ordered them just to try them out, because it’s such a traditional snack item, that it’s often a good measure of how the rest of the meal will be produced. We definitely should’ve ordered more of these little nuggets of gold… with clean and crisp outer shells, and soft and creamy beef filling inside. Other tables around us obviously knew this already, as we saw some of them downing 3 or 4 orders of these. For mains we ordered a couple more dishes to share. The grilled pork we ordered was made from the high quality Iberico black pigs (often referred to as “porco preto”) and was prepared in the most traditional way… simply char-grilled, sprinkled with sea salt, served with lemon and olive oil. We also had a great braised beef cheek doused in a dark, rich sauce, served on top a smooth and creamy parsnip purée. Dessert stayed on the trend of classics, with a pastel de nata, coffee ice cream, and chocolate salami, along with two bicas (espressos). Just the perfect way to finish off a great meal. 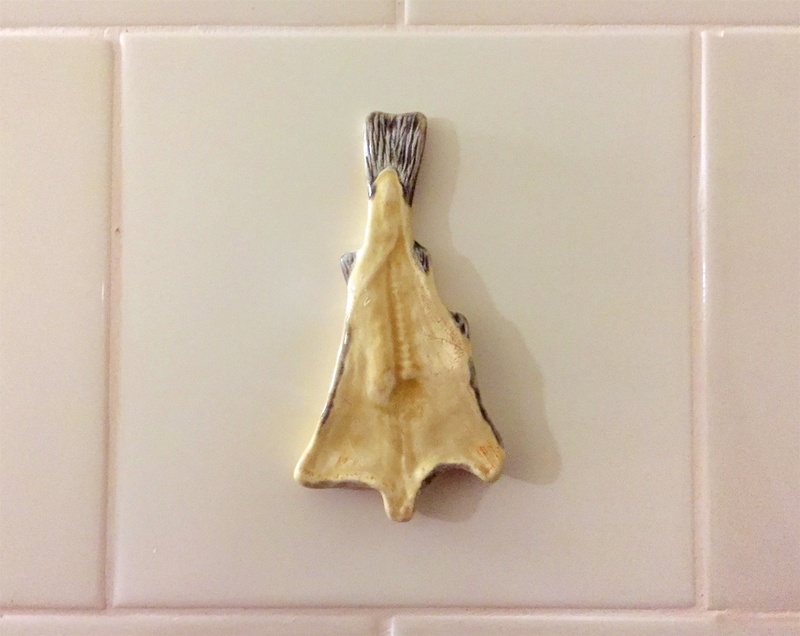 The thing about José Avillez restaurants, is that you always know what you’re gonna get. The food is going to be on trend with what’s going on at the highest level in the culinary world, but it will also be decidedly Portuguese. It will consistently be great, and you really can’t go wrong at any of his restaurants. José Avillez will allow you to understand the soul of Portuguese cuisine, while also being able to see the fast moving new generation that’s leading Portugal into a new and innovative future.